How does your company cater to workers with disabilities? 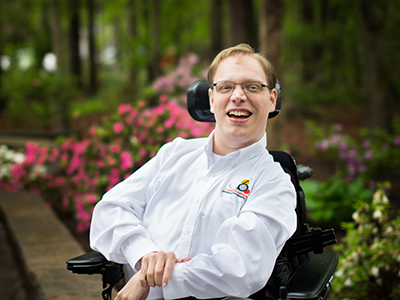 The goal of Glen Allen-based 6 Wheels Consulting LLC is to help businesses accommodate disabled workers and customers. “People with disabilities are some of the most loyal, creative, resilient and hard-working people that you’ll ever meet because that’s how they have to be on a daily basis,” says Matthew Shapiro, 26, who started 6 Wheels Consulting in 2014. Shapiro was born with cerebral palsy, a neurological disorder that impacts body movement and muscle coordination. The condition ranges from mild, where daily activities are not limited, to severe, as in Shapiro’s case, where a wheelchair is needed to move around (hence the name 6 Wheels Consulting). Shapiro is one of millions of people living in the U.S. with a disability. According to data from the 2010 U.S. Census, this included 30.6 million people who had trouble walking or climbing stairs, or use mobility devices, such as wheelchairs. Many business owners aren’t tapping into this segment of the population as employees or customers, he says. Shapiro has provided consulting services to a number of organizations, including Henrico County and Goodwill. Shapiro helped Henrico for example, when it wanted to make libraries more accessible to the disabled, the elderly and families with young children. His assessments went beyond the requirements of the Americans with Disabilities Act compliance, recommending the furniture be rearranged so that people with disabilities can move more easily through the buildings. “Something can be ADA-compliant, but it doesn’t work to my needs,” Shapiro says. He adds that accommodating people with disabilities doesn’t have to be expensive. For example, a portable wheel chair ramp can be bought for $160. The rise of America’s elderly population in coming years also will lead to more people needing mobility devices, he says. “If we are working on this stuff now and on the front end, whether it’s for businesses or society in general, we’re setting up a world that’s going to be better off for everyone down the road,” he says.